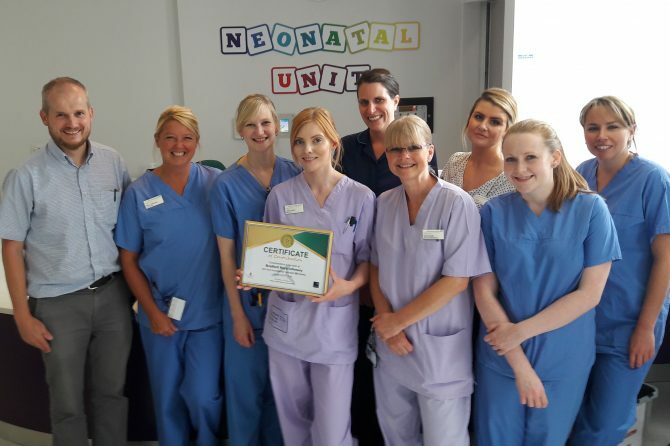 A dedicated Bradford neonatal team has been presented with a certificate of excellence for its role in a major research trial. 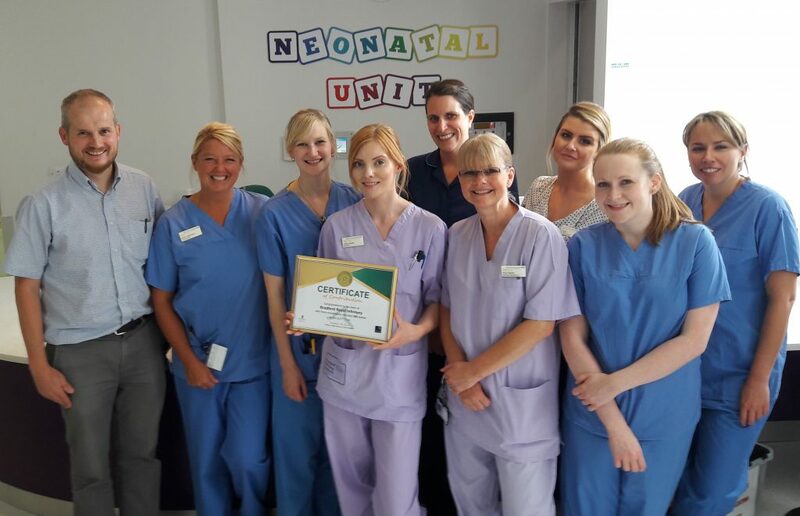 The neonatal unit at Bradford Royal Infirmary (BRI), part of Bradford Teaching Hospitals NHS Foundation Trust, has now recruited an amazing 205 babies to the ELFIN study which could have a major impact on infant health. This makes the Trust the top recruiter in the country for the study – what’s more BRI was the very first hospital to recruit to ELFIN! Consultant Neonatologist, Sam Oddie, who is Principal Investigator at BRI, has been involved in the design and running of the trial. The ELFIN study is a multi-centre, randomised, placebo-controlled trial which involves giving lactoferrin (a natural infection-reducing cow’s milk protein) to very preterm infants to evaluate if it can reduce infection. About 20 per cent of very preterm babies born before 32 weeks’ gestation acquire serious infections and so better methods of infection prevention are needed. The babies involved remain on the trial until they reach 34 weeks. Lactoferrin is a naturally-occurring protein in breast milk and introducing this milk protein may reduce the risk of these infections by as much as 50 per cent. The protein, which is in powder form and mixed with mum’s breast milk and water to make a 1.5ml dose, is given once a day. The trial, which is sponsored by the University of Oxford, is open to recruitment in 37 neonatal units around the country. It is completely blind and neither staff nor parents know whether babies are allocated to lactoferrin or the placebo. It closes in December 2017, and the results, which will be evaluated by the National Perinatal Epidemiology Unit, are expected in late 2018.